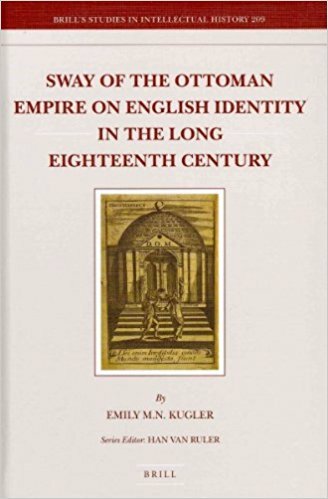 Emily Kugler, "Sway of the Ottoman Empire on English Identity in the Long Eighteenth Century"
This book challenges concepts of an ahistorically powerful England and shows both that the intermingling of Islamic and English Protestant identity was a recurring theme of the eighteenth century, and that this cultural mixing was a topic of debate and anxiety in the English cultural imagination. It charts the way representation of England and the Ottomans changed as England grew into an imperial power. By focusing on texts dealing with the Ottomans, the author argues that we can observe the turning point in public perceptions, the moments when English subjects began to believe British imperial power was a reality rather than an aspiration.